It was rumoured that William Shakespeare had a secret lover known as the “dark lady” who is said to be the inspiration for some of his sonnets and some plays. Today, it is strongly suspected that this woman was Aemilia Bassano Lanyer, the well-educated daughter of an Italian musician, and mistress to three or four men. 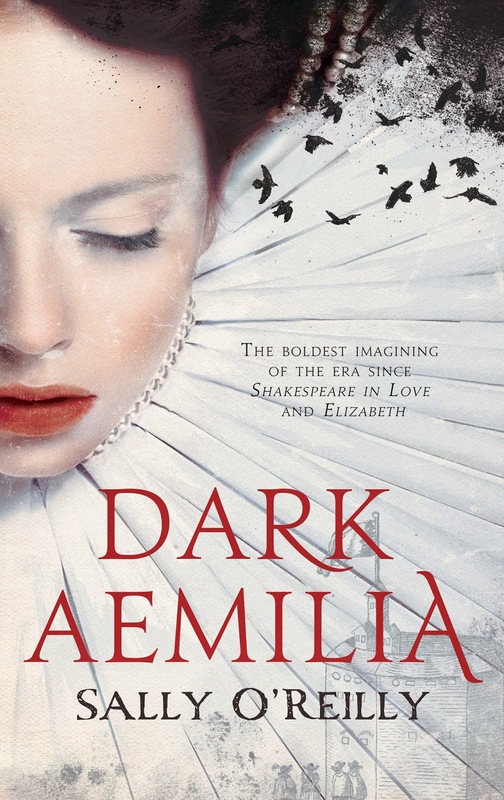 Dark Aemelia is a fictionalized biography of her life. Set in London in the early 1600’s, Aemelia is a writer who struggles to have her work recognized in an industry solely for men. When she meets William Shakespeare at a performance of The Taming of the Shrew, she gives him a piece of her mind because she disagrees with his portrayal of the shrew in the play. This sets off a romance between the two, despite the fact Shakespeare is a married man with a family. But their romance is stormy, fraught with quarrels, conflicts, and disagreements. The novel hints that Hamlet, with its superstitions and the three witches, was possibly written by Aemelia rather than Shakespeare. The novel takes the reader on a journey through the Elizabethan period complete with its famed persons, the plague, and the royalty of the time. While the character of Shakespeare is likeable, Aemilia is not because of some poor decisions and loose morals, so readers should approach the book with an open mind and accept the fact that novels don’t necessarily have to have charismatic protagonists. The author did a good job of bringing to life the harsh conditions and lack of respect women endured simply because of their gender. There were some ups and downs in the book—some parts kept me eagerly turning the pages while others did not keep me fully engaged. All in all, this is an interesting novel based on strong research.